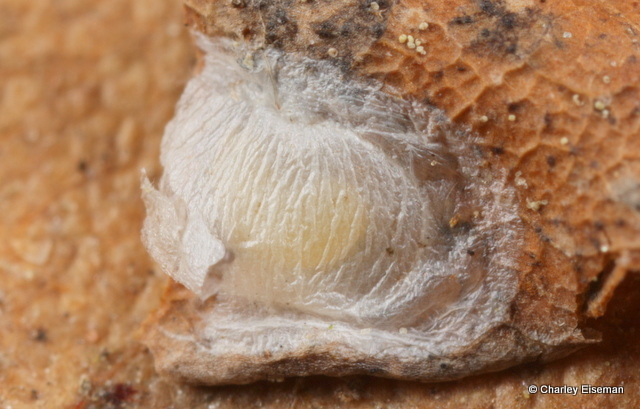 Cocoon of a dustywing (Coniopterygidae), 3 mm across. Adult dustywing (Coniopterygidae: Semidalis; ~3 mm long). Anyway, back to that cocoon. 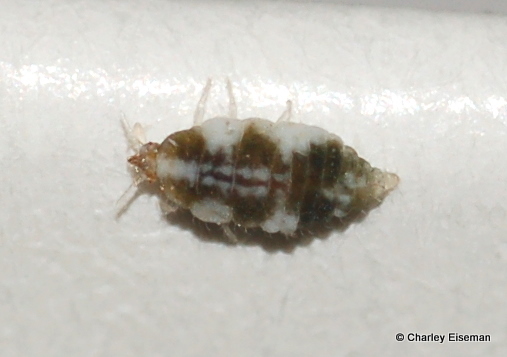 When I checked the bag on June 6, a weird little wasp had emerged. As soon as I saw it, I guessed it was something in the superfamily Ceraphronoidea, not because I have any familiarity with that group but because I have no familiarity with that group and it looked like nothing I had ever seen before. It turned out I was right: István Mikó, probably one of the only people who does know anything about this group, identified it as Dendrocerus conwentziae (Megaspilidae). 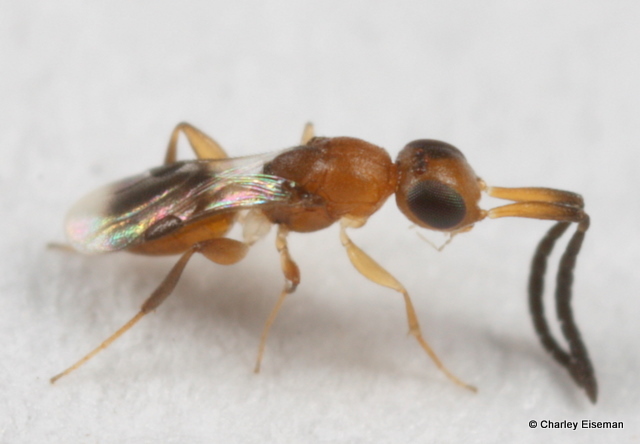 This wasp parasitizes only dustywings, and apart from it and a few other Dendrocerus species, the only dustywing parasitoid listed in the 1979 Catalog of Hymenoptera is an ichneumon with the unpronouncable name Trjapitzinellus microrphanos. 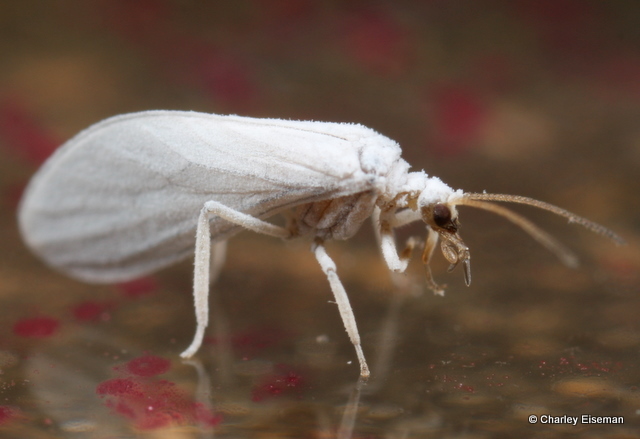 From what I can tell, the above photo (along with others of the same individual posted on BugGuide) is the only online image of a living Dendrocerus, and mine may be the only photos of this particular species living or dead. 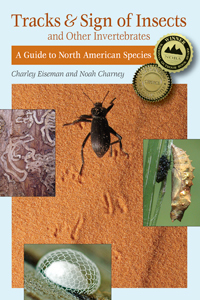 I guess collecting the cocoons of obscure insects is a good way to get to see even more obscure wasps. 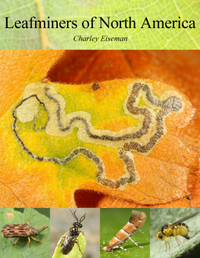 This entry was posted in Uncategorized and tagged cocoon, Coniopterygidae, Dendrocerus conwentziae, dustywing, larva, Megaspilidae, Neuroptera, parasitoid, Semidalis, wasp. Bookmark the permalink.